I know, how original, right? I’m writing about white kitchens – hardly an earth shattering, can’t-believe-those-are-trending topic! But my love for them is deep, and has never waned. In fact, I have always had a white kitchen. Yep, I’ve had three kitchens in my adult life that I’ve picked and/or remodeled myself, and all three have been white. I had one before they were in style, I have one now that they are “back,” and I’m sure I will have one until the day I die. My memories of those times are visceral. I can picture all three kitchens like it was yesterday. All three were white, but I’m sure it’s not just that. Wrapped up in all that whiteness is the memory of family members all crammed around a table, laughing and talking and eating. Since I grew up in a small family of four, visiting houses full of cousins, where people ate roast chicken on week nights and indulged in homemade pies everyday, was heaven. There were even “farmhouse sinks” where my mom would wash my hair. I didn’t even know then that those had a name! Right now, I’m in the process of working with a client who is remodeling her kitchen from a dated, “Tuscan” style to a white modern farmhouse one. (You can see the result of that renovation here). And working with her has got me looking back at my Pinterest boards for ideas and inspiration. For that reason, white kitchens have been on my mind more than ever, and I’ve got to say, I never tire of looking at them! They are the definition of timeless! This kitchen is especially enchanting with its darling antique chandelier and checkerboard floor! Design by Frank Babb Randolph via Traditional Home. So gorgeous! One of my all-time favorite kitchens! Via EBS Interiors. The range hood is stunning! 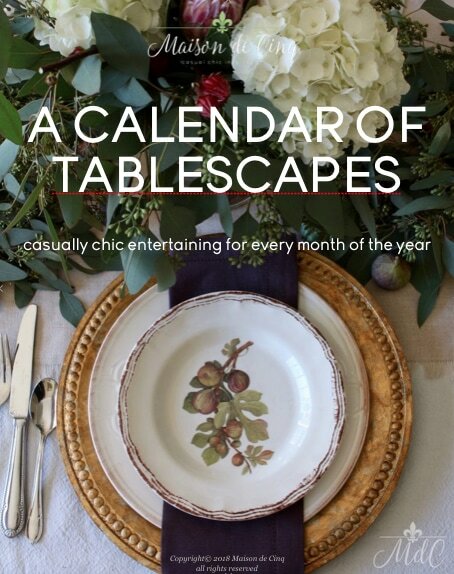 By O’Brien Harris via Decorpad. 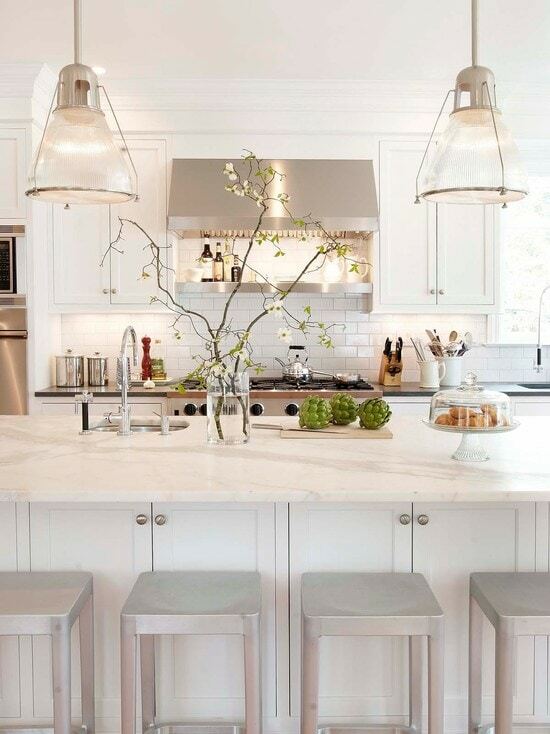 This white kitchen has always been a favorite! It’s very simple, but I love it! By Frank Babb Randolph again via Decor Pad. Love the open shelving in this pretty kitchen. And it helps to break up all that white cabinetry, too. Via Carla Aston. Frank Babb Randolph via Decorpad. 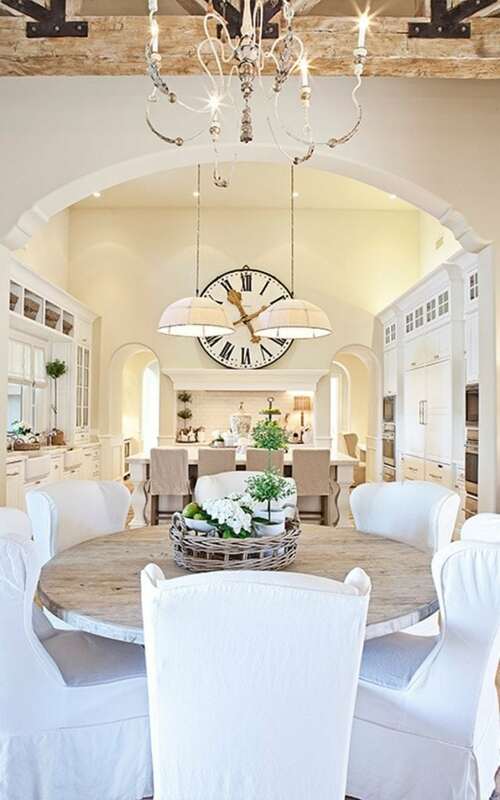 Design by Suzanne Kasler – and can I say, all of her kitchens are stunning! (and they’re usually white!) 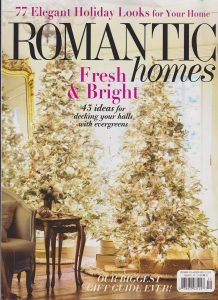 Via Better Homes and Gardens. 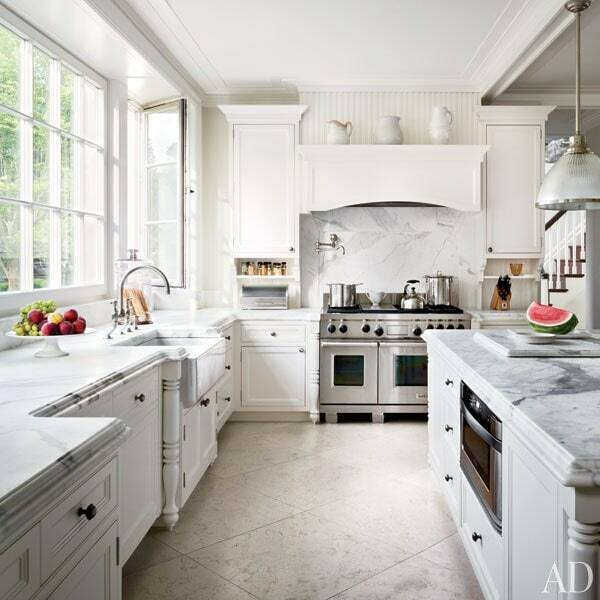 I love that a white kitchen mixes with any flooring, or accessories, or window coverings. And if you are worried about too much stark “whiteness” or that it will be too cold, you can warm it up. Wood floors and some color or texture are great for that, but one thing that I love in a white kitchen is brick. Sometimes homeowners or designers decide all white on every surface is too much, so they break it up. Either using two different counter surfaces, or even changing some cabinets or more commonly, an island, to a different color. I love this look! Love the black island. Via Traditional Home. Here the island gets a dark honed granite or soapstone counter to contrast with the white marble on the other side. via Better Homes and Gardens. 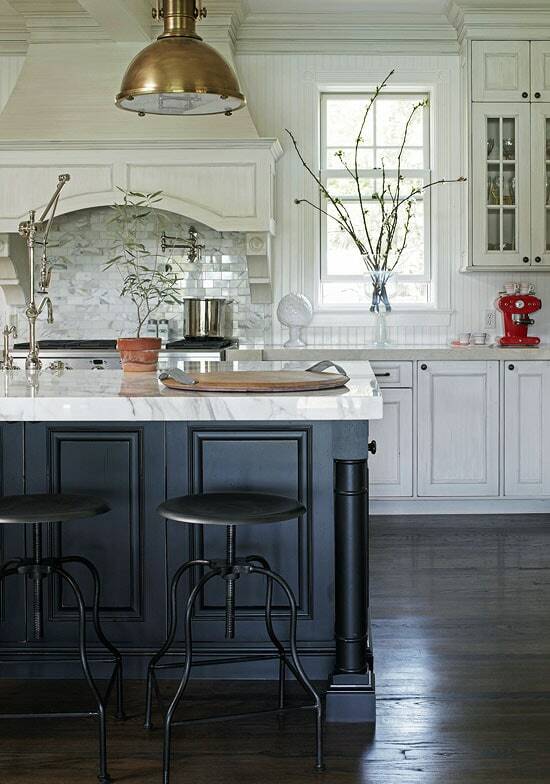 The counter top on this island is butcher block… gorgeous! 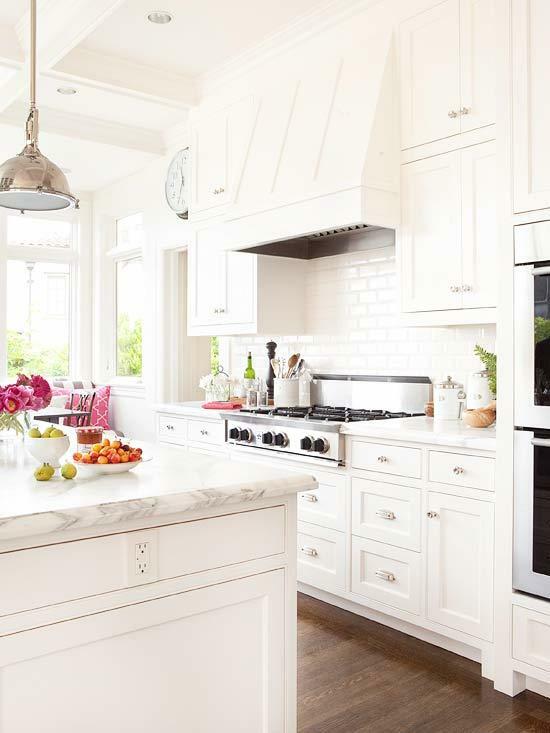 This white kitchen has also been a favorite forever – I have the original tear out from when it was published over five years ago – still timeless! Via Better Homes and Gardens. I can’t help it – white kitchens have my heart! 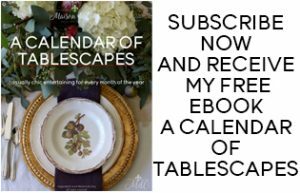 And for even more inspo, you can visit my Kitchens Pinterest board. It’s loaded with, you guessed it, about 500 stunning white kitchens! Thanks Emily – so glad you agree! Have a great weekend! Haha – well, that goes without saying Des!! I love a white kitchen! Gorgeous roundup! 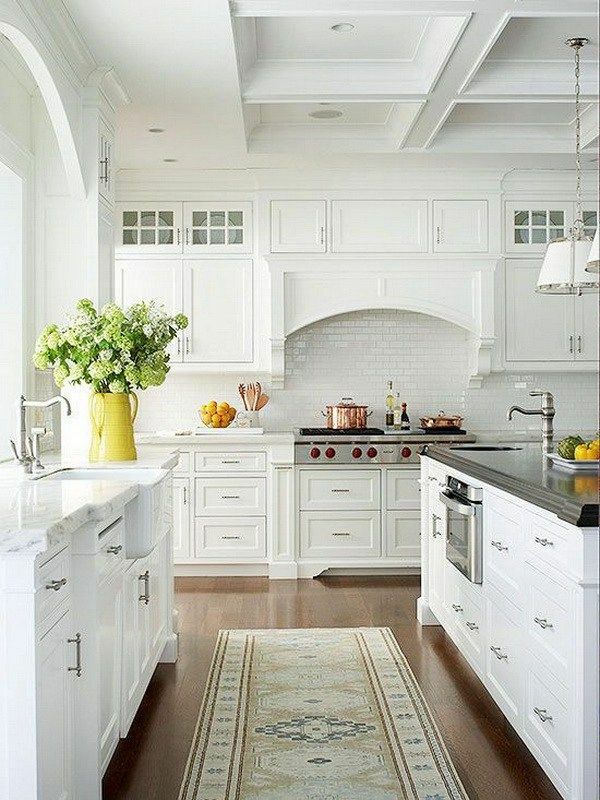 I too love white kitchens…..I just wish ours was bigger. Yay! I think white is sooo timeless; you literally can't go wrong! Hopefully you do it and then you can show us! Have a great weekend Angelina! For the longest time I wanted cherry cabinets in my kitchen. Lately I have been leaning towards a white kitchen. Now I know why. They are gorgeous. 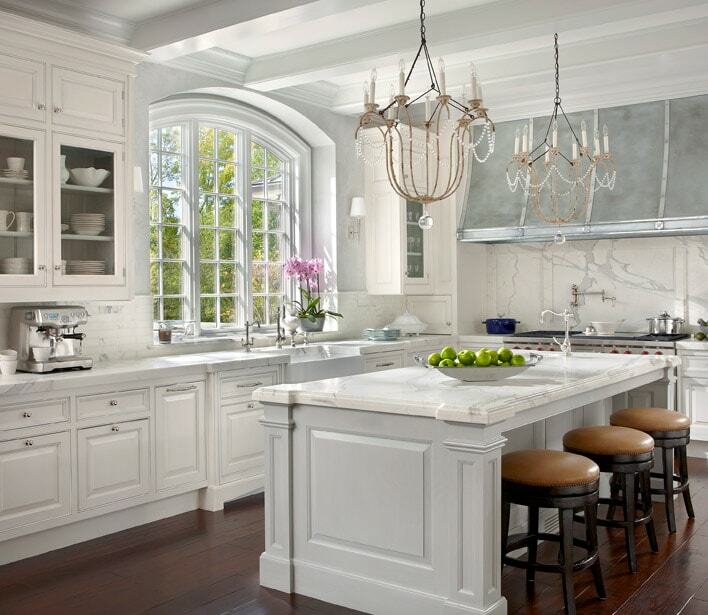 I love white kitchens too!! Pretty much love all of these inspiration photos!